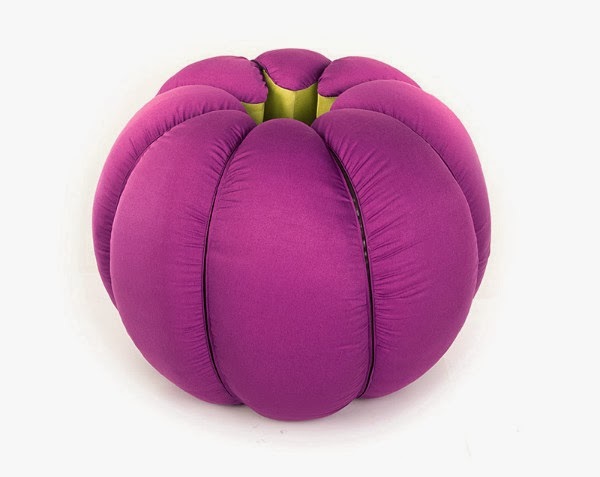 Mandarin is a set of poufs made of a soft part inside and a textile cover. 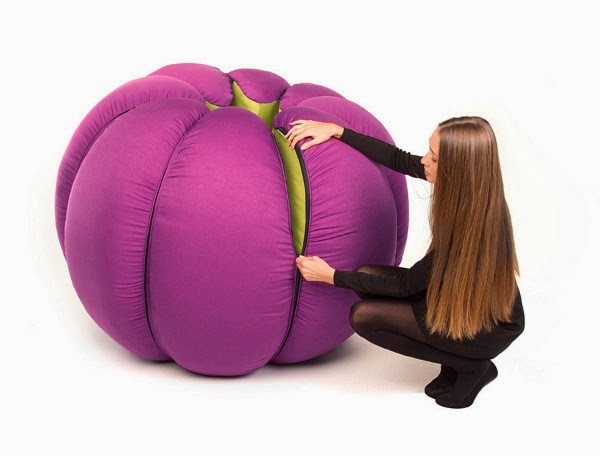 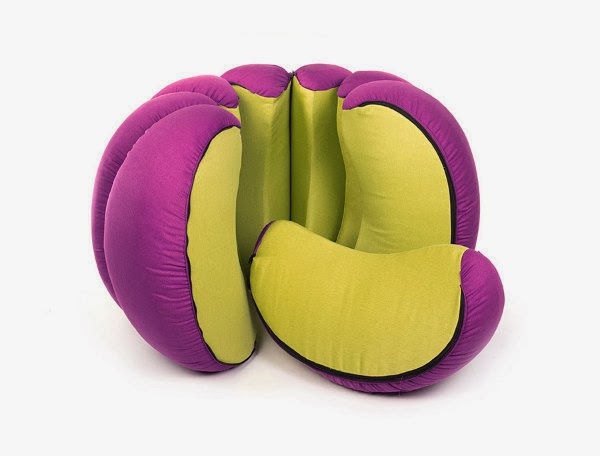 Pouf pieces connect by zippers which provides the possibility to create poufs of different shapes and sizes, armchairs, and beds. 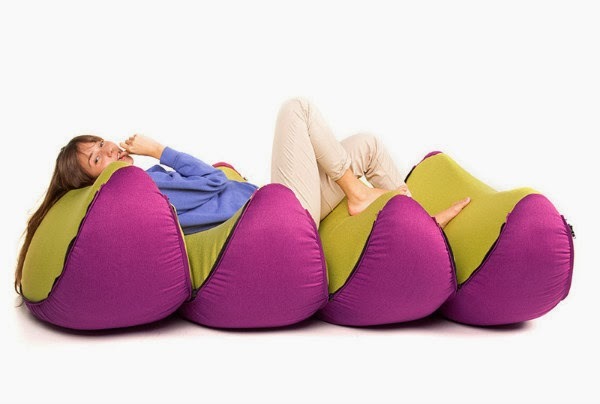 Each puff consists of a removable fabric cover with a soft filling. 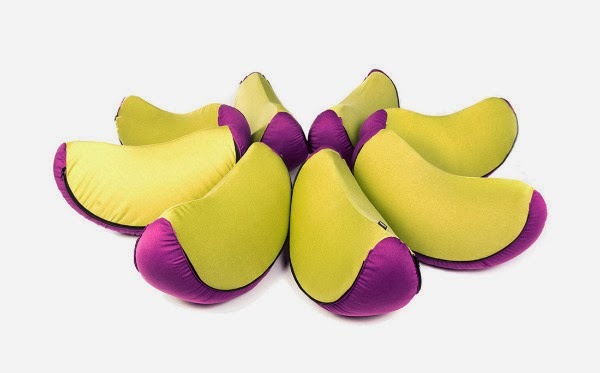 Mandarin is perfect for a comfortable stay of a small group of people. 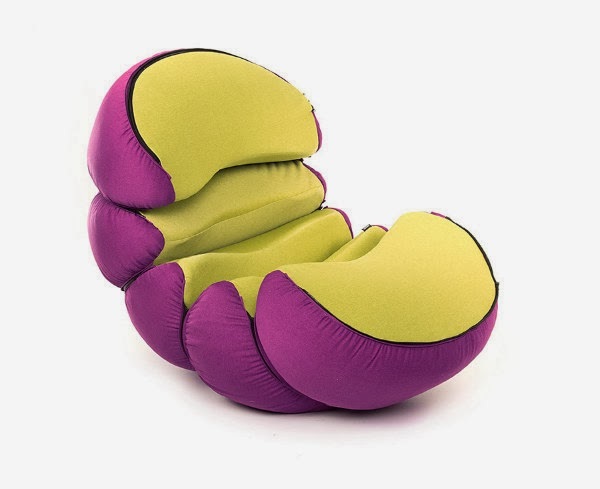 The unusual design and an expressive combination of colors adorn into a home or office space. 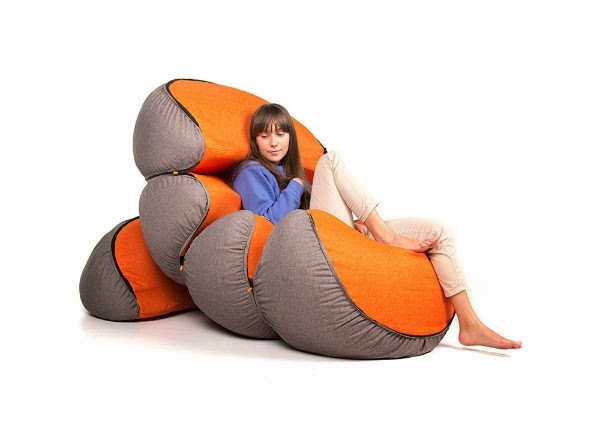 Designed by Vyacheslav Chupakhin and Gennady Martynov and presented at iSaloni Worldwide 2013 in Moscow.